Coffee is a staple of life in the city of Anaheim. Whether it’s your early morning rise-and-shine or your late afternoon pick-me-up, the following are our favorite coffee shops and cozy cafes around town pouring the perfect elixir. The historic Anaheim Packing District is a great stop for coffee any time of day. From breakfast to comfort foods, there are over 20 vendors offering a range of culinary treats to choose from. For a classic cup of artisanal coffee we suggest Pandor Artisan Boulanger & Café, the perfect spot for a sit-down breakfast of eggs benedict or a Parisian omelet—or to grab a fresh decadent pastry to-go. No matter which way you prefer to start your day, you can be sure their exclusive blends of aromatic coffee and espresso beverages will hit the spot. Indulge in all of the culinary treats Anaheim Packing House has to offer in Center City. For the truly daring coffee drinkers, we suggest something a little cooler. 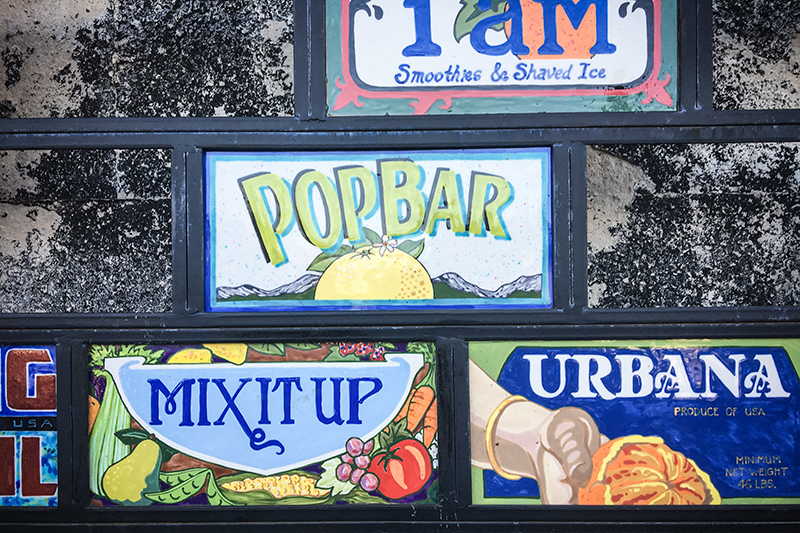 Stop in to Pop Bar and treat yourself to a Popaccino. This sweet concoction is a blend of premium caramel coffee, topped with a dollop of whipped cream and sprinkled with chocolate flakes. Order the frozen hot chocolate or hot chocolate on a stick for the kids as non-caffeinated alternatives to the traditional recipes. 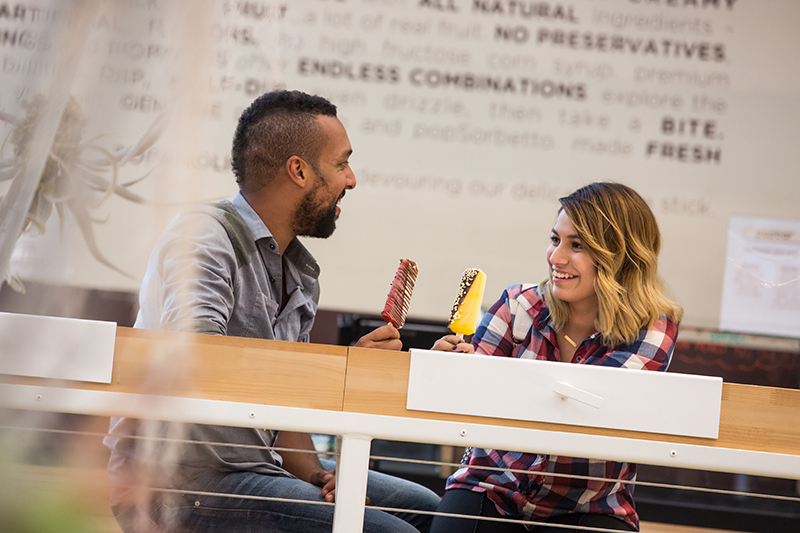 Pop in to Popbar for frozen coffee on a stick – an original way to get your caffeine fix. Are you the breakfast all day type? Iron Press offers a non-traditional take on a classic morning menu item. Their sweet and savory sandwiches put two cooked-to-perfection waffles together with over a dozen fixings. From slow-roasted pulled pork to crispy fried chicken, the mouth-watering option will make it difficult to narrow down. While Iron Press specializes in pairing these unique menu items with locally crafted beer, you can get your coffee fix with one of their special brews. Try a stout crafted with coffee from their regularly rotating tap and bottle list We suggest stopping in for Hoppy Hour Monday through Friday 3pm – 6pm to try their tots and waffle fries. For the traditionalists, those who are just looking for the classic water poured over beans type, Ink & Bean Coffee Saloon and Wordshop is the ideal stop. Serving the rich and delicious flavors from Stumptown Coffee Roasters, the baristas here are well-versed in everything from crafting the perfect cappuccino to pouring the perfect cup of cold brew coffee. 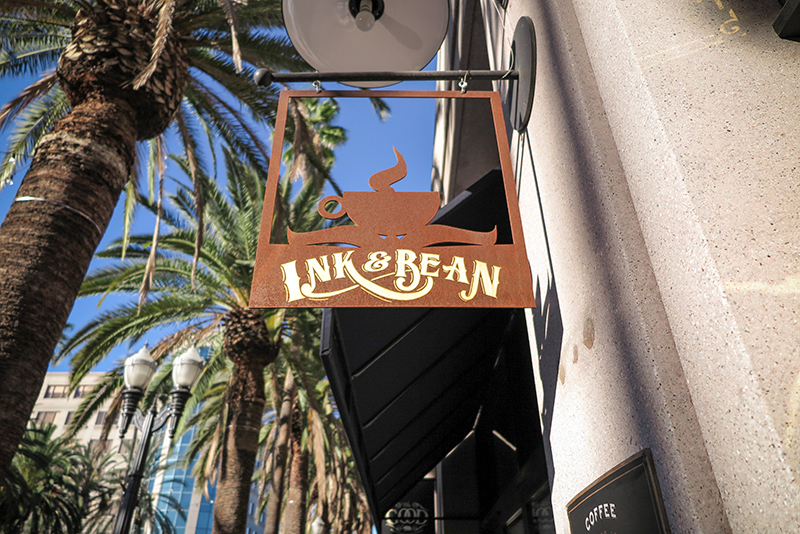 Stop in to Ink and Bean Coffee Shop–one of Center City’s most popular coffee shops, for a piping hot cafe beverage. Serving breakfast and lunch, you can enjoy a made-to-order meal or grab a delicious, fresh pastry to accompany your favorite beverage on-the-go. Grab a stool to enjoy free Wi-Fi or cozy up to a good book. And like a true classic coffee shop, live music comes with the territory. Stop in on the weekends for some tunes to set the tone for your day.